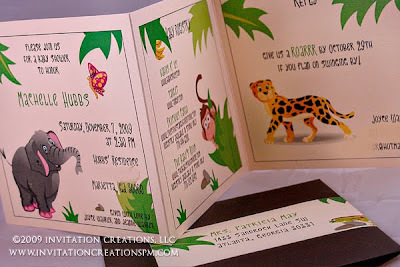 a jungle-themed invite. I thought these turned out so cute!!! And don't you love these envelopes? I do! I think they are striking...much better than the typical white envelopes you get in your mailbox. It wraps around the envelope with the return address on the other side. 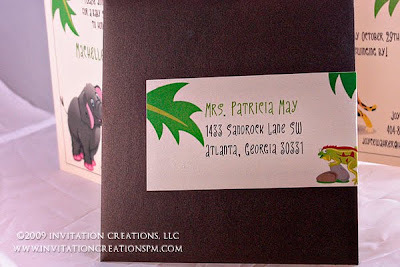 I also designed her matching chocolate bars wrappers to assemble herself for her favors (not shown) . Thanks Joyce for trusting me with this!